I wrote a year ago well before the referendum it would likely be rejected, but the framework for what will be approved would happen. That is how I still see this playing out. These things almost always get very ugly before they get done, Charles Wang has not made it ugly yet. Edmonton's lease ends in 2014, they are not even close to a ground-breaking here for Darryl Katz's, partly/taxpayer funded facility yet so unless Jay Jacobs can move to Alberta, and build an arena faster than anyone else, the Oilers will be in their current facility past their lease. Either Ed Mangano finds a way to finance the framework of what Charles Wang agreed to almost a year ago for a thirty year lease extension, or the only owner anywhere in New York/New Jersey, who did not get huge taxpayer assistance will have a decision to make. That decision also includes a ninety million dollar hotel he will own on the Coliseum property whether the New York Islanders play there or not after 2015. Having written all this if Nassau & TOH are determined to lose the New York Islanders, and play the same political game they have for over twenty years it goes beyond what any owner can do. No owner anywhere builds an arena or stadium out pocket for their landlord to make all the money, if you can find me one, by all means send an e-mail. If you expect Charles Wang to do that here after a decade plus of taking on losses, with the additional privilege of losing his share of twenty million dollars (with Scott Rechler) on the Lighthouse project that is not realistic. Most NHL teams in their modern facilities lose money. Tennessean.com reports on the Predators huge losses and public assistance. Wang made clear he wanted no development rights, he was not going to construct a referendum, legislature, NIFA, approved arena for Nassau a year ago. There could well be a next County Executive in 2013 to replace Ed Mangano determined to do whatever is necessary to keep the New York Islanders, despite all the media rhetoric that will follow to push out the Islanders. Winning/filling the seats always puts a lot of pressure on local government to make a deal, while staying away helps the politicians. Win or lose, those seats have to be filled. I see absolutely no chance Charles Wang opts out of his sublease, then asks Ed Mangano to leave now after what he said last summer. Nor do I see Mangano giving him approval to move the team immediately which is what that would require. Unless someone in Brooklyn wishes to purchase the New York Islanders, I do not ever see Charles Wang taking the club there to lose money on his hotel or anyone in Queens building him an arena. Dolan sees hundreds of millions in savings on a cable contract, expect the absolute worst in his paper toward that end above all. Wang has no media to fight it, he cannot say one word or it will cost him the bare minimal hockey coverage in Dolan's paper, and on television. 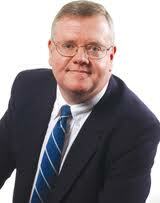 Dolan's paper is being called out again by the Long Island Press for selective reporting? Nothing new there. Mr Bettman's " The Isles will not play one day past their lease", is an act we have seen before in Edmonton a year ago here. "I don't think there is any intention of this team to play in this building (Rexall Place) beyond the term of its lease," Bettman said. "There needs to be a new building, and it's that simple." One of the countless articles with Bettman saying Penguins may have to relocate. Fans are not in the room, neither are media, only players. The players work there----they know, we do not. I have no doubt the players in the room believe this team is on the right track or none of them would have resigned here at any price, much less the ones who were UFA, and could have ripped the management as they demanded out. Even the goalie who refused to report, and got tolled was thrilled to resign in an organization packed with competition. Why? As I wrote recently, all it would have taken is John Tavares demanding a trade, instead Tavares told Pat Brisson, his agent, who said the Isles would be one of the last places he would personally sign with before the 2009 draft to agree on a six year extension for his client. In over a decade not one former player here has ripped this owner.Why? Michael Peca ripped the Oilers when he left so please do not tell me it does not happen, Peca always praises Charles Wang. All of us can believe whatever we want, but the players on this team, in that room, who work with this management daily are the ones who would be the first to complain if there were issues, instead all of them want to stay here very badly. This is what I base my viewpoint on. New York has a draft to prepare for with another top pick, as usual, it's not a class packed with generational talents on paper going in. On the ice if there is a next season, the Islanders are close to being a playoff team if they can improve their defense at both ends of the ice, either from within the organization, or through free agency/trades which carries a very steep price because all teams are looking to do the same thing. If this team can find three defenders who can hit, skate, score to go with Streit, MacDonald, Hamonic they are a solid bet to be a playoff team. If not, it likely will be more of the same because your defense is a big part of your offense. Josh Bailey made clear it he likes the wing, he will be held to that statement if he does not produce. This blog has been outspoken often about management playing him outside his drafted position. Please stop telling me Nino Niederreiter is here only for cap purposes when Calvin deHaan with his ELC could have been here from day one, and almost made the team three years ago. If Strome, Nelson or another prospect are ready they will be here. Taylor (Nelson) Pyatt played 78 games here in 2000-01 with only four goals, he survived, and is in this years playoffs with Phoenix.....so will Niederreiter. Niederreiter did a lot of hitting in the second half, he was strong on the puck, and generated chances mostly playing with struggling forwards in Reasoner/Pandolfo. There are teams all over the NHL with players on ELC (entry level contract) with the exact same contracts the New York Islanders have signed their prospects to. The New York Islanders are not the first team to offer bonus money to tryout players they sign. Garth Snow made some excellent signings in MacDonald/Nielsen when they agreed to four year deals, should he have paid them double or triple so the Isles cap hit was higher? You must write the exact same thing for every single team getting taxpayer money or you are not being consistent. Raymond J. Keating, claims he is a Long Island based economist, and a New York Islander fan, however he is not consistent with his views, despite his long economic resume. Economist/writer, Raymond Keating, is not an unfamiliar name to NYIFC, he made sure to tell folks to vote no overwhelmingly, in the NY Post 7/28/11 one of many city publication that got selective amnesia on every other local team getting massive taxpayer subsidizes or exemptions. April 2010 Mr Keating was also critical of Mangano and had a few words on his Casino Plan For the Coliseum Site. Mr Keating was there co-writing an article 4/18/2000 days before Charles Wang purchased the Islanders that article said Long Island fans have shown in the past that they will support a competitive team. Depending on what you take from his contribution he may have favored a private development from Wang's ownership? My math may be sketchy in an NHL where attendance figures are obviously inflated, however the Islanders for their low attendance in 2011-12 was significantly higher than it was during Howard Milstein's last season. 4/27/2012 Mr Keating is now writing if the Islanders cannot pay for their own arena, and they have to move to Quebec or somewhere else so be it. There are still plenty of sports and other entertainment choices around while reminding us about other teams playoff success? What's interesting there is Mr Keating was just as outspoken about those " other sports choices " getting their taxpayer money or exemptions, however he never wrote that those teams should leave? To make matters worse, now he's doing infomercials for the same facilities who got their taxpayer money, as other sports choices? I guess he's not interested in Mr Vanderbeek's issues at the Prudential Center, where the taxpayer outright paid for a big part of the Devils new home, or how Barclay's Center was financed by taxpayers? Mr Keating apparently also is not interested or aware of the massive taxpayer funding Quebec's new arena will receive or how Edmonton's arena will be financed by taxpayers which has been widely reported, despite his business articles about Canada. It's also fair to write in Mr Keating's view it's now ok to spend our money on other sports choices once we have given them our tax dollars like Msg receiving their 1981 tax exemption check from Mr Bloomberg, while he now attends games at Cablevision's subsidized arena after threatening to revoke it for years? Mr Keating in 1998 wrote Yankee Stadium should be privately owned, and Mr. Steinbrenner should be told to pay for his own ball park and pointed out how much we paid for the 1973 renovation. Yankees went on the dole in 1971 when the city took ownership of Yankee Stadium and began a huge renovation. The initial estimate was $24 million, but in the end costs reached almost $150 million -- an overrun of about 500 percent, paid for by the taxpayers. Mr Keating in 1998 did not write so be it if the Yankees leave, or that there are plenty of other sports choices around? He was critical in pre Dolan Newday 2006 here when the Yankees and Mets got their massive taxpayer handouts for their stadiums, but he seemed to get over it before moving on to his next book. Mr Keating's 4/5/1999 SPORTS PORK The Costly Relationship between Major League Sports and Government on page fourteen reports New York City taxpayers footed the bill for the Msg two hundred million dollar 1990 renovation while they were also getting their 1981 exemption here. Mr Keating seems to pick and choose, that's not acceptable. You cannot write no taxpayer funds for any team, they should all be privately owned, and if they leave so be it only for one team, then turn around and write we should go to the places you used to be so outspoken against for the same reasons? Also Mr Keating does not seem to grasp the concept many local governments do not want to give up the land, many stadium's or arena's sit on. Most of the teams in New York to this day are still paying rent. It was not easy finding much of anything where Mr Keating called out taxpayer financing on every other local facility that got approved with deals done in backroom that were made without referendum. Mr Keating apparently also never wrote about Charles Wang's many renovations as a tenant to his landlords building. Dolan's got his people working overtime to get the Isles out these days, nothing new there. I wonder if Nassau paid for a 200m dollar renovation in 1990 and gave whoever owned the Isles an 11m dollar tax exemption every year since 1981 if things would be more exciting for the team? It's always amusing how uninformed some folks are about the New York Islanders or it's history, so some people decide to rewrite their own. The idea that Charles Wang bought the New York Islanders with Sanjay Kumar for real estate twelve years ago on April 26th 2000 is a flat out lie, which contradicts the entire history of what transpired before 9/27/2004. They bought this team from Howard Milstein, a billionaire who develops real-estate. Things got so bad, he tried to move within months, then put the team into financial mothballs until it was sold to Wang & Kumar. This became a real-estate deal for Charles Wang, who eventually combined with a top real estate developer to this day in Reckson, Scott Rechler, but he gave many long interviews after 2006 and made clear a development became the plan when the County could do nothing to replace or renovate it's own building. If I failed to include something in a mountain of information, by all means drop me an e-mail, this post will be updated because I want my readers to have an honest and accurate history based on what was reported. I made sure the quote from Charles Wang about making money was included below. Charles Wang owns real estate in Plainville, he's never developed a single thing in his life on Long Island with Renaissance Properties, not even with Scott Rechler at that site in 2007 here. I have never read one word about real-estate Sanjay Kumar owned or developed on Long Island before he sold his share of the team to Charles Wang in 2004. From the Archives of Islanders-Sound Tigers. For those interested in the Lighthouse website news archives from 2004-2009 please read. Milstein had planned to develop the Nassau Hub as a means to build a new arena and to underwrite the team' payroll. Those plans fell apart when the owners failed to get all parties to agree to their plans. Under the lease agreement, written in 1979, neither SMG nor Nassau could build on the 70 acres without the others permission. 4/26/2000 4:15pm: Wang-Kumar purchase completed: Tom Gulotta's Nassau tried to break the news before it was official already angering Wang here. Wang has said previously that Nassau County needs a convention center where major events can be held. County officials have long speculated that if Wang bought the team, he would build a center. County officials said they have received interest from other companies to build a hotel, and county executive Thomas Gulotta has said that whoever purchases the team is expected to build a new arena. 4/27/2000: Press Conference Highlights/Articles here. The reason for the friendly atmosphere surrounding SMG and the new owners is due in part to former senator Alfonse D'Amato, who received praise from the new owners for persuading them to buy the team. As for the surrounding property, Kumar said, "We are not real-estate developers." While Wang and Kumar said they have not seen the plans D'Amato submitted to Gulotta in February to develop the Hub, they said SMG's role will be decided soon. D'Amato proposed a multimillion-dollar plan that included a hotel/exhibition/convention center as the centerpiece, with a host of sports and entertainment retail facilities. The proposal did not include the possible construction of a new arena. 2/15/2001: Wang discusses adding the Nets, plus comments on a public bond here. Wang said he hasn't had concrete discussions with anyone regarding a new arena or other plans and believes that, considering the financial condition of Nassau County, now isn't the best time to do it. "I think Nassau has some issues it has to deal with," he said. "This may not be the right time right now to tell the voters, 'Hey, listen, let's do a public bond or something.' So the timing is sensitive to that." Wang said he hasn't asked Nassau or anyone in the private sector for help in funding a new arena and convention center. There is, he said, a lot of variables to consider. "When you put up a big facility like that, obviously people are not going to do it altruistically," he said. "They want to get a payoff at what's best for the city, state and county." And there is also the task of convincing private investors to join in the project. Wang said there are no guarantees there, either. 4/15/2002: Proclamation Day For Isles Charles Wang and Tom Suozzi's First Comments here. But with Nassau's massive fiscal problems, Suozzi admitted that the county is in no financial shape to take on such an expensive project that some say could cost as much as $200 million. "If Nassau County is going to be the best it can be, then we should have a world-class sporting facility," Suozzi said. "But it must be done economically and done within a county master plan that includes all parties." In meetings during the past year, Suozzi officials essentially have threatened to cancel the lease through government action unless SMG agrees to a new management contract giving the county sole rights to develop the property around the Coliseum. Talks are currently stalled. "We've had ongoing meetings with Islanders and the county as part of a task force for the hub area, and there aren't any easy solutions for anybody," SMG president Wes Westly said. "Our position is, we don't want to stand in the way, but we want a fair business solution." 9/27/2004: Charles Wang introduces the Lighthouse Project here. Financial details of the proposed plan by Wang, were sketchy. Picker said the major overhaul of the coliseum and construction of the athletic complex will be done with help from state, county and Wang. He would not release further details. Nassau County Executive Thomas Suozzi would not comment on the proposed plan. 10/11/2004: More From Wang here. The first phase of the project, "transforming" the Coliseum, will involve state and local government funding, details of which will be discussed tomorrow. Opening the first phase of the project to outside bidding, as one developer group has demanded, ultimately will be a county decision, Wang said. "There aren't too many owners of the New York Islanders that can do this." "I'm at a point where I can do things like this," he said. "I can look at a much longer horizon. I believe someday people will say, 'He did something for Long Island. That's something Wang built.'" He's also in it for profit. "I can also make a lot of money from it," said Wang. "It's my home. It's where I live. I have a view of what I think Long Island needs. I have the wherewithal to do something about it, to be a catalyst. Ultimately it's going to be the people of Long Island who will decide." Said Wang, "I'm patient. It doesn't mean I'll have patience forever." Already, some politicians question whether the county should have engaged in a competitive bidding process, instead of quickly embracing Wang's plan. But Suozzi said Wang is uniquely suited to develop the site. And without his economic assistance - an investment of $168 million -public money would have to be used. "The County of Nassau doesn't have the money to renovate the Coliseum," he said. "We need this type of public-private partnership." Beyond Wang's contribution, the state would be asked to release a $30 million grant approved in 1997 and issue a new $47 million grant, for a total tab of $245 million. Wang said his proposal is more than a financial investment. "I'm not just a developer, I'm a neighbor," he said. "I love this place. I'm putting my name and my money on the line to make Long Island better." 10/18/2004: Newday Lead Endorsement Of Project. Twice during his term as county executive, Gulotta put out requests for proposals for buying the Coliseum and surrounding acres, with the hope the RFP could finally serve as a catalyst for the kind of livable space that planners started pushing almost 40 years ago. The response? Absolute zero. Mr. Suozzi defended the Wang deal, saying, "This is not a straight real estate deal but a sports arena and team retention deal." Mr. Wang owns the Islanders hockey team and had promised to renovate the Coliseum and pay the county $1.5 million annually for 99 years in return for the development rights. "This does not cost county taxpayers one cent and will be recognized as one of the country's best sports deals," Mr. Suozzi said, but added: "If somebody has a better idea, please feel free to contact us. We'll consider any ideas anybody has." When asked if he was losing patience and might scrap his proposal, Wang said, "I'm not at that point, but I'm close." Wang singled out D'Amato's comments from March that the "Lighthouse" project would turn Nassau into the "Sixth Borough" of New York City. "It saddens me ... to see this being politicized," Wang said. "This is not a Suozzi project. It is not a Republican or Democrat project. This is a Wang project. But Suozzi said he negotiated the best deal with Wang. "I want to make this clear, if someone has a better idea, I'm requesting their proposals," he said. "There's little if any chance, in my opinion, that a plan that as the centerpiece calls for a 60-story tower will be approved," D'Amato said. 8/12-13/2005: Suozzi issues RFP for outside bidding. The Islanders' lease in Nassau extends to 2015, leaving plenty of time for the team to secure a second location if Nassau rejects the Lighthouse plan. But the team would have to remain in the metro region to fulfill terms of a deal with Cablevision Systems Corp. to keep the Islanders in its market area. That agreement, which extends to 2031, means they could relocate as far away as lower Connecticut or Brooklyn. Note-Wang/Rechler Finalized their Joint Venture in Jan 2007. Mr Rechler also took Reckson private that month and changed name of company to RexCorp Realty. Wang's project also would require zoning approval by Republican- controlled Hempstead Town, where former U.S. Sen. Alfonse D'Amato is still a political power. D'Amato and Wang had a falling out, after D'Amato criticized the project. But Rechler, who has contributed to Republicans, called D'Amato "an adviser." D'Amato didn't return calls for comment. "I haven't spoken with him, but I hope when I do he will see the light of Charles' plan," Rechler said. "Their plan stood up against top-notch competition, and emerged as the best of the best," Suozzi said at a news conference in Mineola. "It matches the vision I've been talking about for 'New Suburbia.' We can look forward to a new minor-league ballpark, a renovated Coliseum, new housing and office space that will create excitement at the geographic heart of Nassau County and create an engine for economic growth. And we accomplish this at no cost to the taxpayers, while significantly increasing the tax base." "We got a call from county officials that our proposal had been accepted and we are thrilled," said Reckson Associates chief Scott Rechler, in a call from Australia, where he is on a business trip on Wednesday. Rechler said the development of the hub area has been talked about for decades, but "This is the most momentum I've seen with public support for what the hub area can be. It's becoming a reality." Tom Suozzi stuck the agreement in his desk for almost two years before it got to the Town Of Hempstead, who did everything possible to delay/kill the project from that point which was entirely political. Rezoning application was submitted Nov 2007. Plans were also due at same time here. 2008/09 Summary of How Things Played Out. After Suozzi finally woke up from his slumber and the fast track became slow, Wang & Rechler had lost twenty million dollars/did over two hundred meetings. Suozzi was voted out of office, the zoning proposed by Kate Murray would not accommodate the Lighthouse, or make it financially viable for Suozzi, Wang, Rechler or to date any developer, at least with the Nassau Coliseum in the picture. Suozzi did his sublease with Wang/and/or Rechler in Dec 2009 after he was defeated. 7/23/2010: Kate Murray/TOH Announce Their Lighthouse, Mangano says it's not economically viable. Scott Rechler is gone, selling his 2005 share of the Marriott to Wang 7/29/10 here. Wang made no request for land development with Mangano's referendum which was a thirty year influx for the county's general fund after his Casino plan imploded quickly in 2011. To this day in 2012 Smg's lease has never been condemned, their agreement, written in 1979 where SMG nor Nassau could build on the 70 acres without the others permission has not been changed in any way despite the endless rhetoric about buying out or condemning the lease. Al D'Amato/Smg submitted their development before Wang-Kumar even purchased the club, all that required was Nassau-Smg approval as written above regardless who owned the New York Islanders. To this day the New York Islanders are a rent paying tenant, which would not have changed if the referendum was approved. The idea Charles Wang only bought the New York Islanders for real estate is a lie. The sidebar at NYIFC has contract status for all New York Islander UFA/RFA, along with the college players who must be signed. The prospect blog is updated with the contract status of all players in the teams system entering 2012-13. Qualifying offers must be made by 6/25/2012. College Prospects graduating must be signed by 8/15/2012 which on paper include Troy Mattila from 2006 & Corey Trivino. To be clear, John Persson playing on an ATO (amateur tryout contract) with Bridgeport does not mean the Islanders are required to sign him before 6/1/2013 because he is a 2011 draft pick. The New York Islanders have no selections from the 2010 draft remaining who must be signed by 6/1/12. Because of no transfer agreement with Russia/KHL, we cannot provide where Kirill Petrov stands in terms of his NHL status or contractual rights the New York Islanders would have over another NHL organization. Ct Post: Michael Fornabaio had comments from Garth Snow, Brent Thompson, and the players regarding Bridgeport's season plus what's ahead. Rhett Rakhshani, Mikko Koskinen, Justin DiBenedetto, Tomas Marcinko, Mark Katic, & Ty Wishart are among many important restricted free agents who require qualifying offers by 6/25/2012. Players not signed who were qualified like Jesse Joensuu a year ago will require another qualifying offer, which is how the Isles retained Jeremy Colliton's rights as he played in Europe. Yury Alexandrov, signed in KHL for 2012-13 also requires a qualifying offer to retain his rights. You asked so here is our response. I put no little to no stock in Gary Bettman's comments to the AP because it was not an Islander centric interview, however it's not the first time he has come off as completely opposed to the Islanders staying where they are or relocating to Brooklyn. Gary Bettman has an endgame, make sure every franchise generates as much revenue as possible, he either does that or the owners will decide on a new commissioner to fill his position. Any franchise always at the bottom in attendance, not generating a lot of revenue is not good for his resume. I'm not convinced Bettman speaks entirely for Charles Wang, who despite all the conflicting headlines after 2015 will still own a hotel next to the Nassau Coliseum he spent ninety million dollars for (with Scott Rechler in 2005) after he bought out Rechler's interest in 2010. Bettman did not call out older facilities earlier in his tenure or repeatedly say the league will not stay one minute longer than a lease in Montreal, Toronto, Chicago, Buffalo, Boston, Edmonton, Msg, Pittsburgh with many of those outdated facilities much older than the forty year old Nassau Coliseum. Given the last time the Isles were a playoff team, and Msg historically has thousands of Islander fans at games when they play in Manhattan (as well as New Jersey) it's obvious the New York Islanders are as much New York City as the Yankees so Mr Bettman can give the LI-Queens fan-base issue a rest unless he wants to call out who owns the television/newspaper coverage for doing all they can to limit the fan-base which drives any teams ability to generate revenue? Charles Wang said last year before the referendum on WFAN about thirty/forty percent of the season ticket base is not from Nassau County, which this blog discussed here. 7/26/11 WFAN Interview 2:30 Wang discussing where season ticket base comes from. If Mr Bettman needs to make more revenue for the people who employ him, he should start by demanding more coverage for the New York Islanders. That starts in Dolan's Newspaper, on his network, along with the city newspapers, who also are doing all they can do save money on Islander coverage permanently. The Daily News even botched the headline for a team they rarely cover. Brooklyn may not be viable destination for New York Islanders. Dolan's endgame has never changed. Get out of paying close to three hundred million dollars in future cable contract money until 2030, expand their own teams brand officially into Nassau County, perhaps gain control of another sports/entertainment property with all the money saved. That's why hockey games do not get the front page (or the back-page) for this team, and it's covered extremely poorly, but if something happens to sell what benefits Cablevision/Dolan/Msg, you can bet it will receive inflated headlines, even when Bettman's comments are nothing new. That's why Bettman's comments are on the front-page of Dolan's newspaper. Dolan's paper on 4/23 also provided room for an editorial by James Darcy, who serves on the Hempstead Town Council praising Kate Murray's Town Of Hempstead for rushing the process, while blaming the developers for the Lighthouse, and that the NHL owners should pay for a new arena, ignoring how every other NY/NJ team had their facilities financed by taxpayers. Mr Darcy is on team Kate Murray according to his website. Darcy would also be the person long ago who said the Lighthouse EIS was too long. He supported a referendum vote, but had a cryptic answer on the information process in 2011. I guess George Marlin of NIFA was not available for another Dolan exclusive. Southcoast Today: Had comments from former assistant coach, Scott Allen, on leaving the Islanders. Our entry on leap day this year 2/29 has more than enough on the future of NYIFC. Despite being a blog that is supposed to generally work through twitter, once again much more was posted here because of the incredible support. Unless something major happens, next week the twitter box will return. Bridgeport will be in the Calder Cup Playoffs, the prospect blog has that covered. A section for the World Championships has been set up here for those to follow when that begins in early May, the Isles website is currently doing daily updates leading up to the tournament which has a link here. The 2012 draft section has been set up also. My knowledge of the prospects in the draft class frankly is terrible, so to attempt to discuss that here beyond take the best player available would be disingenuous. 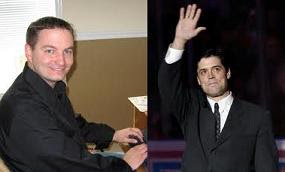 Islanders website: Announced that assistant coaches Scott Allen and Dean Chynoweth will not return for the 2012-13 season. Scott Allen was named Assistant Coach of the Islanders on July 20, 2009. Dean Chynoweth was named the Islanders Assistant Coach on June 19, 2009. Never a good day to see anyone leaving any job. Dean Chynoweth is a former player with the Islanders so even worse in that regard. Jack Capuano has had nothing to say since the season ended. These were both coaches hired for Scott Gordon's second season with the Islanders. If Capuano wanted them to stay this could be an issue for him, but the question moving forward is does Capuano get to pick his own staff, or will it work like in New Jersey with long time assistant coaches, Larry Robinson & Jacques Laperriere, who stayed behind the bench despite several Devils coaching changes? Laperriere, has had another role with Devils for a few years now. No folks, I do not believe for one minute Doug Weight would accept a job as an NHL head coach with this little experience or would Garth Snow offer it to him. Weights's reaction to this could also be interesting being that he was a full time assistant coach, and part of a staff that has now been significantly changed, as Senior Advisor to the General Manager. This could take some time to play out depending on what assistant's or former head coaches become available. If you are asking this blog if someone who makes decisions based only upon watching games/comments of the assistant coaches if these are the correct moves I would have to say no. I supported Jack Capuano returning, so I have to do the same for the assistant coaches with the exact same reasons. Of course, it's not that simple if contracts end or if management does not feel the same. We have seen this act before. The same fans who refused to attend games in the late 1990's are once again tired of waiting, and out of patience. They blame the owner/gm, and demand immediate action. A decade ago Mike Milbury gave you action. This time Garth Snow is determined to stick to his plan. Sounds nice, reads well, however this time there are major differences. The same fans who refused to attend games in the late 1990's with Howard/Ed Milstein, who dropped the payroll to nothing, and told Mike Milbury to trade Palffy are no longer here. This time it's Charles Wang, who's signed all his top players/prospects long-term, and has proven he will spend countless times, but is not going to front-load contract offers which is what all the top free agents receive. We have no idea what the players back then thought of the Howard/Ed Milstein, but this teams top players, all took Charles Wang's money, and praised him. All John Tavares would have had to do is instruct agent, Pat Brisson, he is signing only to the point he can go UFA, or will not play here any longer, same for Bailey, Okposo, Grabner. Instead the same agent who made clear the Islanders would be one of the last places he would personally sign with before he was drafted, agreed to a six year contract for John Tavares. Frans Nielsen could have made public he will not sign here under any circumstances, same for Nabokov/Parenteau. Garth Snow, for better or worse is sticking to his plan, whether we as fans buy-in, his players have which is another big difference. I'm sure teams would be very happy to take Tavares, 1st round pick, Moulson, Okposo, Bailey, Grabner, Niederreiter, dehaan, Hamonic, MacDonald, Strome, Nelson or many of the Isles other prospects to revisit the 2001-02 plan. You don't want a repeat of 2001-02? This is the alternative. Sure if Snow is going to sprinkle in any vets, they better finally be ones who help, or why bother? Mark Eaton for Hal Gil is not the answer, but that's usually the market. Zach Parise means sixty million dollars front-loaded, and a check for twenty million dollars to cover 7/1/12 to 7/1/13 as lockout protection. Many of Milbury's former picks or trades (Bergenheim/Comeau/Tambellini, Gervais, Campoli) did not pan out, they got a long look under Snow, then the team moved on. Trent Hunter got a five year contract that got huge praise, it did not work out, so he got moved for Rolston, neither move worked out. Garth Snow's made mistakes within the norm of most general managers, he's also shown he has the ability to identify players who have turned into excellent decisions, which go beyond the record of his many counterparts. He's managed to retain his players with contracts it would be hard to argue have not been smart signings based on salary/term. The NHL is different than it was in in 2001, there were no front-loaded contracts, no cap. Trades happened much more frequently. The UFA age was thirty one, now it can be as early as twenty five. Those players are all locked in unless you want the 2001 plan. Both are likely locked in. Likely will be given long looks in camp. How much longer can they be kept out of the NHL? Can they play well enough to earn a spot? Bottom line, there are not a lot of spots available here. The UFA market will present a few quality players, but many of the middle-tier defenders will all come with some baggage/downside. Ultimately, this plan could fail. It's not as strong as the late 90's group of prospects on paper right now. What happened in Florida, Los Angeles, Phoenix, and many other places where it took close to a decade may be how it plays out here. It's not the first time we have made that point here. This is all without more major injures to top players. That's a very bitter reality for a franchise that has not made a serious playoff run since 1993. Still, at this time it comes down to choices. The 2001-02 plan or the 2011-12 plan? I do not wish to see these kids leave until we know. The Bridgeport Sound Tigers on Friday won the NorthEast Division with a 4-1 win in Providence against the Bruins here Kevin Poulin had forty six saves. This is Bridgeport's first division title since their inaugural season, where they were the American Hockey League Regular Season Champions under Steve Stirling. Bridgeport is the third seed locked into a three vs six first round series, which will open at Webster Bank Arena on Thursday 4/19. The Sound Tigers still have games Saturday & Sunday this weekend. Kevin Poulin has been the full time goaltender since 3/18 when Anders Nilsson sustained an ankle injury. Bridgeport was the 29th team in the American Hockey League at the end of the 2011 calendar year. They did not lose a game in regulation for over two months, with several injures/call-ups to key players. Fantastic job by Brent Thompson, and his staff. The Islanders did not have an ECHL affiliate this season. To the best of my knowledge only 3/6/2012 clear-day or residence list players can participate in the AHL playoffs until everyone on the list is used, which likely means it's going to take a lot of players out for Brock Nelson or John Persson to participate. There is also the little matter of the Norfolk Admirals on a twenty six game winning streak down the road if Bridgeport has a long playoff. Overall the New York Islanders won four more games than a year ago, improved by six points, and again tied their highest point total (79) in the last five years. It was a terrible season from opening night to the final game. No excuses about injuries can be given. Among bottom in goals scored/allowed. High shots blocked means most games played in defensive zone. No win streaks of more than three games. There were other items on the list. Compared to the second half of last season, where it looked like this team had finally found a long-term formula that could work in 2011-12, it was a lost season beyond the individual or continued progression of John Tavares, Matt Moulson, PA Parenteau, Travis Hamonic and Andrew MacDonald. The flaws of the 2011-12 club were written about here from October to April. Most of the middling veterans played exactly to their career trends with the exception of Marty Reasoner, or Brian Rolston's second half a year ago. They were acceptable statistical gambles acquiring them to address scoring. This blog looked hard at the coaching, general manager, owner, in many entries and support all three for the reasons given. Garth Snow's UFA choices/players brought in on tryouts were a mistake. The UFA market last summer had the same downside as the injured, returning veterans on defense from Oct-Dec 2010, who still had another year on their contracts. The rest were signed for ten/twenty million dollars up front for the 2011-12 season on massive front-loaded deals before this CBA ends. Those signings did not work for their respective teams. The free agent market with Kaberle, McCabe, was not going to make this team any better. Pitkanan did not help Carolina. Sheldon Souray's six goals did not take Dallas to a playoff spot. It looks good now with Florida in the playoffs, but did you want Garth Snow to give an over thirty five free agent, Ed Jovanovski, 16.5 million over four years, or to trade for Brian Campbell's massive contract with his NTC? Tampa Bay moved on from Bergenheim, despite his playoffs for them. He got the same money/term in Florida as Frans Nielsen when he resigned this year. (11m/4yrs). Dale Tallon got a lot of criticism for his summer moves, even more in Chicago when he failed to file paperwork on time in signing his restricted free agents. I made the point many of the veterans here played to the maximum of their ability, it was not close to good enough. Al Arbour would not have gotten more out some of those veterans, so how can there be fair criticism of Jack Capuano? Mark Streit returned as captain after a year out, Steve Staios was his partner. The blame that can be assigned was Garth Snow should have taken a longer look at what worked in the second half on defense in 2010-11 before moving on from Hillen, Martinek, Wishart. My impression was Mark Katic was supposed to be part of the NHL plan before his injury. If you cannot improve, you stick with what worked in the second half. The trade market was not there for twenty nine other teams looking for the same kind of defender. The size, speed, physical and offensive numbers on defense were missing from day one, that's a lot to burden younger forwards with, who have enough problems of their own developing. It was alarming seeing the disparity between many teams size/physical play or speed vs the New York Islanders. Columbus looked huge and their defense (with Wisniewski) scored like the Isles defense has failed to produce all season, and made it look very easy. From the Florida game opening night, with their speed, to the Colorado game where a big team down 3-0 ran over or through a small team to come back and win was a very disturbing common theme. The decision on Blake Comeau to change his position for Rolston was a mistake, he might have been unproductive anyway as he usually was in first half. Michael Grabner was never the same player after his December groin injury, so there goes the secondary scoring. Nino Niederreiter never got started with his injury, but created some chances and threw some hits. Enough foolishness about the cap floor when Calvin deHaan with his ELC could have been here from day one, who almost made the team as a rookie three years ago. Jay Pandolfo blocked shots very well, but played to his offensive resume. Frans Nielsen scored a few more even strength goals, not nearly enough. He produced better after he resigned. Kyle Okposo, despite the late numbers had a poor season where he was outskated/outworked/outmuscled often. Was Okposo's finish another Blake Comeau late season charge, or does the club have back the player before his shoulder injury? Isles are doing a terrible job in making a top ten drafted center a confused player in Josh Bailey with no real position at all, he bounced from center, to right wing, to left wing. This plan was tried his rookie season, it failed to help him. His exit interview on ITV indicated he likes the wing, but that does not matter, because the professional are to make these decisions, not the player. If this continues center Ryan Strome, Brock Nelson, Casey Cizikas or another natural forward prospect will be taking his spot. Bailey had moments in games where he showed star potential. This is mismanagement. It goes on the coach/general manager, this blog pointed to it countless times. You draft a center in the top ten, he must play center. Matt Martin needed to produce more than hits, as he did in Sarnia, or the game in Philadelphia where he scored two goals. The club survived eighty two games where five goaltenders cost them no more games than most other teams. Evgeny Nabokov when healthy played like a #1. Poulin/Nilsson both look like they can play at this level, there is also Mikko Koskinen, the first goaltender selected in his draft class. Rick DiPietro should play elsewhere until he proves himself healthy, but that's not how camp will start. Al Montoya injured or not was showing signs of struggling before his concussion, reverting to his career trends. Given the depth in the organization, it's time to move on. The pressure is absolutely on to win next season but we have read that many times already. Mr Snow said two years ago everyone has to be better. His UFA choices have to be much better, not players who eat minutes and at best provide an even shift. Some will claim the Isles are getting closer, I cannot write that or agree with such a statement until it translates to wins on the ice or points in the standings. This was a year for the standings/games to do the talking for them, and it did. They were a weak team at best. All that can be written is they had the ability to avoid a free fall playing in a box between five hundred and six under. You tell me if a smaller, slower team absolutely should resign PA Parenteau and lock up another roster spot where few are available? I have questions/doubts beyond salary/numbers. There is nothing apparent in place at the prospect level ready to solve the loss of Parenteau's numbers on the current roster. It could take years for the impressive names in the system to be part of helping to win games at this level. Twenty nine other teams also have the same prospects (some better) with upside. David Ullstrom, Casey Cizikas, Rhett Rakhshani, Calvin deHaan, Matt Donovan, Aaron Ness, Mark Katic by themselves will not fix the weaknesses in 2012-13. Garth Snow is not going to break up his core, nor should he. The prospect blog is updated on the contract status of everyone. At this time, there is an excellent chance there will not be a 2012-13 season beyond the business as usual 2012 summer events leading up to September when the CBA expires. The top free agents are going to want cash up-front as in ten/twenty/thirty million in advance so they don't lose another twenty four percent of their future earnings before the ink dries on the next CBA. Garth Snow, twenty plus other general managers do not make those kind of offers. Toronto/Montreal have not made those kinds of offers. I was wrong about Glendale writing the NHL another twenty five million dollar check a year ago, that does not seem like a viable alternative based on recent comments by local government vs the NHL. The NHL losses money even with Glendale's payment. It would seem to make financial sense for the owners to want another franchise relocation fee, and to get out of the business of operating the Phoenix Coyotes at a reported loss after two years. Who knows? By June, a decision has to be made. The NHLPA did not hire Donald Fehr to go back to a forty million ceiling. That game in Brooklyn very likely is never going to happen. Over twenty teams are/have/had claimed or reportedly are losing huge money. The concept this league should have a 50-60-70m dollar ceiling, front-loaded contracts, plus hiding bad contract in the AHL is comical unless the plan is the corporate teams willing to write off their losses/red ink is some kind of successful business model for everyone else to go bankrupt? Revenue is not profit or a workable solution, if you make one hundred million in revenue, but spend one hundred thirty million in revenue, you lose thirty million. It's not something that can be sustained unless you are a billion dollar business, willing to absorb such red ink. New arena/playoff success does not solve it. Not here, in Newark, Minnesota, Chicago, Washington or at Cablevision/Comcast/Little Ceasar-Amway sponsored, Detroit Red Wings beyond red ink on corporate books. The New York Islander media locally/nationally and at NHL.com, lived down to it's reputation as the worst of any team in professional sports. The damage has been done, the fan-base eroded. It has little to do with the New York Islanders record. Nothing presented was any real surprise. Enough entries have been done on this subject, the archives speak for themselves. I'm sure there are enough images of Ken Morrow doing this by now. You can have one first, fifth, now fourth. Former Islander Steve Tambellini, now has three first rounders in a row, as the Edmonton Oilers win again. Final Season Review Thursday 10am. Bridgeport's playoff spot will be decided in the final three games this coming weekend, they have a solid lead for the division. DiBenedetto suspended a game. Anders Nilsson not or close to returning. David Ullstrom was hurt last weekend, Cizikas stays on Isles injury list until ready. Jeremy Colliton not close to reportedly skating. No idea if Dan Clarke, who has not played yet (Kevin Poulin's started every game) would be the playoff backup. Rules are clear the clear-day/residence list must be used in full before anyone else can participate. To my knowledge that means Trevor Gillies before Brock Nelson. Our final entry on the 2011-12 season will be released Thursday at 10:00am. The 2011-12 season is over so it's time to retire the 40th Anniversary logo. Islanders website: is conducting their final interviews with the players. See last year's entry or the year before/ect. Last year the Isles dropped a spot back, losing the lottery. The Devils selected Adam Larsson, the Isles Ryan Strome. Our past thoughts are any team missing the lottery five years in a row should not be entitled to a lottery selection. Our thoughts are also teams should not be allowed to front-load contracts, or hide bad contracts in the AHL. This blog does not own the league, see you Tuesday at 8pm. My Thanks to all for the positive response on Friday's entry. All we did was correct information not in Mike Sielski's article. Buffalo News: Bucky Gleason on Sunday interviewed Pat Lafontaine about the WSJ article where he did not have much to say, but knew it was coming out. Mr Gleason seemed to play off the WSJ cliff notes regarding the Isles or Charles Wang's ownership which is lazy but expected. He included Milbury as a member of Charles Wang's board of governors with Lafontaine/Smith which was not correct, while Tom Golisano inherited a taxpayer funded new arena from the Rigas ownership, and lost out to the Isles for a few playoffs. You would think Bucky Gleason would know Lafontaine was honored in Nov 2003 by the Isles given that he knew Charles Wang had full control of the Isles by 2004? That there are several people, who absolutely need to be inducted into the 2005-06 Hall of Fame before Pat Lafontaine. Butch Goring, John Tonelli, Jiggs McDonald, all of the core of the four. Most interesting was Mr Gleason asked Lafontaine about the Isles not honoring the Long Island Royals this week at the Coliseum. Mr Gleason's own Buffalo News: reported the Royals won the title on 4/1, which was the Isles fan appreciation day game against Ottawa. Beyond that there was only the April 5th season finale, but the Royals Website on 4/2 announced their celebration was going to be 4/5 at 7:30pm at Superior Ice Rink in Kings Park where they advertised the unveiling of their 16-and-under state and national championship banners to be hung. This was the day/time the NHL scheduled Winnipeg vs the Islanders last summer. Ed Mangano/Nassau/Isles absolutely do something in the future to honor the kids. Gleason wants to impress us (beyond fixing his broken e-mail address) he should be just as quick to ask Darcy Regier/Lindy Ruff, why Ted Nolan had to leave Rochester as soon as it became a Sabre affiliate again under a new owner? Gleason was asking last May here when the new owner reacquired the Rochester affiliate. Ted Nolan wound up in Latvia. Mr Gleason the day after the WSJ article 4/3 was quick to support the injury card in Buffalo, but that management could have been better. Never have the Isles used back to back games as an excuse. I guess Gleason missed all the years the Isles lead the NHL in man games lost before this season. People will write/say whatever they want about Mike Milbury, a lot of it will be fair/correct, some of it will be unfair/vindictive. Having written that anyone who criticizes Mike Milbury for shots at Sidney Crosby's health, but takes the same cheap-shots at Rick DiPietro or any injured player on any NHL team is just as guilty as Milbury. You have clowns with media credentials making fun of Radek Martinek because he discussed Ryan Hollweg trying to pull out his stitches long ago. After the tragedies of last summer media should learn there are limits, regardless of the laundry any player wears or how long he's hurt. Our entry on Thursday discusses our efforts to gather more details on Mike Sielski's article on Pat Lafontaine, with his response that he can't get into the details of his news-gathering/reporting, citing Wall Street Journal policy. So New York Islander Fan Central will present our questions sent to him via e-mail with some of our own background information to help try and answer. Of course, this must start at the beginning with what was specifically requested in our e-mail. It seems there are a lot of unanswered items in your feature that perhaps you can clarify for everyone because your subsequent radio/webcast interview also did not address any of this. The intention here is to inform our readers as a New York Islander blog with no team or media affiliation. Many of the questions ask what you knew and when/if you were aware as a reference point for folks to follow, granted that's repetitive. 1. Outside of one Islander centric article about John Tavares after a game against the Rangers (10/18/2011) have you covered one New York Islander game this season where Msg's team was not the opponent beyond your HU Times/WSJ feature covering the referendum announcement on 5/14/2011? Mr Sielski's work at the Journal details many local sports, his only Islander centric coverage until 4/2/2012 all season was one singular article after his countless Ranger updates on 10/18/11 after Tavares hat-trick in a win against the Rangers. Our Thursday entry detailed his 2011-12 seasons work at the Journal. Mr Sielski covered the referendum announcement writing an article on 5/14/2011 HUTIMES-Wsj (Wall Street Journal) what many also will recall on 7/12/11 WSJ had an article titled " A Stadium’s Costly Legacy Throws Taxpayers for a Loss” where two different WSJ writers release a feature on the cost of the Bengals Stadium in Cincinnati, which some folks cited as a reason for voting no on the Nassau Coliseum referendum in local coverage? The Cincinnati Bengals website on 7/13/11 issued an immediate rebuttal to the Journal. 2. When did you speak to Mike Milbury for his opinion and Pat Lafontaine? I felt these were very fair question given that Mike Milbury/Pat Lafontaine are long gone from the organization, Mr Milbury has had a lot of things to address in the last year. Unless Mr Sielski made a special trip to the Coliseum to cover an Islander game without the Rangers, the last time he was there would have been Feb 24th, where his no quote/game article appeared the next day 2/25. The 2012 archived articles of his work at the WSJ do not reflect any other visits to the Coliseum here. 2a Was Steve Webb contacted about this given that general manger Garth Snow had no comment? If Garth Snow had no comment according to Mr Sielski, it only seems prudent he would reach out to Webb as part of his research, or at least give the same answer. 3. When did Charles Wang issue his statement to your inquiry? This story was in the WSJ a day after Mr Wang was on television. 4. You referenced the Feb 5th 2008 game, writing the Islanders denied LaFontaine a credential for the game, Brian Burke instead provided a ticket for LaFontaine, and the two continued their meeting in a suite reserved for the Ducks' owners. On Feb 7th 2008 a NY Times Article by Lynn Zinser reported through a spokesman that LaFontaine would have been welcome to come and sit in a suite reserved for alumni as a footnote during a game at Msg. Were you aware of the Times article two days later and the Isles spokesman's statement before you wrote your article? Being that he referenced this specific event I was wondering if he read the 2/7/2008 Times Article where the Isles spokesman is quoted about a box for alumni being available? If you look at the comment section after that article in 2008 this blog asks our questions, and Ms Zinser responded. She wondered what we wondered. 4a. You also wrote a former team executive confirmed that LaFontaine was denied a credential to the game, would that be the Isles former media relations coordinator, and Islander sponsored blogger, Christopher Botta, who's credential was revoked in November of 2010, and when was this confirmation provided? Given Mr Botta is very active insulting the Isles/Wang/Snow almost daily on twitter calling for critical New York Islander coverage while not covering any games, it would only be prudent to inquire if one Ranger centric writer spoke with another for the 4/2/12 article? 5. Your article reports in September 2011, Lafontaine and former Islander Steve Webb biked 550 miles over 48 hours, from Toronto to New York, to raise money for charity. That the Islanders issued a news release on their website about the event. The release mentioned Webb, but not LaFontaine. You article also reports the Islanders confirmed these events happened but didn't comment. My questions would be are you aware the Isles release only covered Webb starting the trip 9/19/11? That NHL.com site reported on it 9/18/11 and them finishing on 9/21/11? Or that the Isles website did a similar release for Webb on 9/12/2010 which NHL.com also featured 9/13/2010, and the Isles website also did this on 9/9/2009 among many Islander website features on Steve Webb's charities? Also noting the Sabres website issued a release on 9/14/2011 The Ranger website presented nothing on this which concluded in New York City? Islanders website reported on Webb starting the trip on 9/19/11. NHL.com site reported on it 9/18/11 & NHL.com 9/21 reported on the finish. The Sabres website issued one one release on 9/14/2011. The Ranger website has three news articles on Pat Lafontaine and presented nothing on this event. Isles website did a similar release for Webb on 9/12/2010. NHL.com featured that on 9/13/2010 Isles website also covered this on 9/9/2009 among many of Mr Webb's charity events. Isles website search results Pat Lafontaine 30 news, 0 image, 0 video. Sabers website search results: 41 news, 1 image, 6 video. Rangers website search results: 3 news, 0 image, 0 video. 5b. Are you also aware the the Isles game recap or " Skinny " written by Msg employee, Eric Hornick, does reference Lafontaine many times in 2012 current game recaps on the Isles website because it was not in your article? It just seemed odd Lafontaine's name is all over game updates on the Isles website if his accomplishments are in fact being hidden/delete/removed? That would include Sunday 4/1/12 (the day before the WSJ article) & 4/4/2012. Lafontaine to this day is featured in Isles historical section with his picture which does not seem consistent with everything being removed from the clubs website? Granted the (2:56) Islanders Season Opening Video 10/8/2011 does NOT show the 1987 goal, however it also contains nothing from JP Parise, or the 1975 team. Very quickly the video (43 seconds) goes straight to the first Stanley Cup in the highlights. ITV Video Feature released 2/22/2012 shows Lafontaine's goal in their 10,000 goals in forty years (1:31) again asking the question if he is being wiped from team history what's his goal doing there in a video produced late in February of this year? The Isles Frozen In Time section of games also includes the Easter Epic here without the Dolan-owned telecast with Jiggs McDonald & Ed Westfall. 6. Were you aware Lafontaine was at Al Arbour's 1500th game against Pittsburgh on Nov 3rd 2007, he was introduced to the crowd, and was on the ice with Charles Wang during the post-game ceremony despite his resignation in August 2006? 6b. Are you also aware Lafontaine was pictured with Sidney Crosby at the Nassau Coliseum March 22nd 2007? 7. Your article states after Lafontaine's resignation, he called Wang twice in 2006, once in Thanksgiving and once at Christmas, inviting him to meet for coffee, and Wang never called back, but he was obviously allowed on the Coliseum ice and seen with Crosby in the visiting team area early in 2007. Because none of this is even in Mr Sielski's article, and obviously all of it happened after his resignation. Even Ms Zinser was aware of it when we asked in the Times in 2008? Getty Images dated image of Lafontaine/Crosby at the Coliseum not in an alumni box. I think we all know Lafontaine was as Al Arbour night, and introduced without providing a link on Nov, 3rd, 2007. Islanders website did include Lafontaine's name in their recap of that night. 8. Were you aware Lafontaine was honored by Charles Wang after his hall of fame induction on Nov 8th 2003 in what was described as a rousing pre-game ceremony, where he specifically requested no personal gifts, or that the teams Hall of Fame began in 2006 by honoring Bob Bourne with many former dynasty players still not inducted to this day, which was only picked up again this season after Mr Wang honored the dynasty teams on many occasions to the point he was criticized for doing so? Mr Sielski brought up the Isles Hall of Fame, which began in 2006, I just provided the background of what's this owner has done. As I wrote the other day it was unclear for this blog what Lafontaine asked for on 11/8/2003, until we did some research and found out. This blog even found the coverage before and after with the article on Pat Lafontaine's own website which we linked to. 9. Where you aware in Nov 2000 both Charles Wang, Charles Dolan agreed to a " Charity Challenge ", where both the Isles/Rangers season series loser would contribute to Lafontaine's charity? (Note-Our e-mail question included the Hummer Metro Ice Challenge Dispute) but that really was after Lafontaine was out, and the Devils in. Call this a throw-away question on our part, I simply wished to know if Mr Sielski was aware of both local teams effort long ago? NYIFC tried to get direct answers, we were left with more questions, and gave you all the background detail that we could find. I think these were fair questions our fans would wish to know. Mr Sielski's career background was presented to the best of our ability with his accomplishments/awards before we wrote this on Thursday, if anything was left out, we will update our earlier entry. Charles Wang's first coach was Butch Goring. His firing, did not sit well with the alumni long ago, and now he's in the Dolan's broadcast booth calling Islander games on Dolan's Network. Denis Potvin was reportedly not happy on a few occasions, these things happen in all organizations, sooner or later they are usually resolved. Mr Sielski's work was sloppy or selective. It took less than an hour to do the research for this entry. When Yankee Stadium had it's closing ceremony in September 2008, Joe Torre, Roger Clemmens here and others were omitted from the clubs history. I did not even know Pat Lafontaine's Companions In Courage Website was not listed on our sidebar with many former Islander players until this entry, I thought it was there already. This blog made sure our historical upgrades this year featured included the 1987 series with Washington. Our long-standing admiration for Pat Lafontaine's career, his incredible charitable efforts over the years transcend hockey, and are an example to everyone. Good luck finding Jiggs McDonald/Ed Westfall Islander call of the 1987 Easter Epic from the Dolan's archives of New York Islander hockey. McDonald is in one internet video doing the narration for another outlet here. on Mar 3, 1984, the night he had a hat-trick against Alan Bester in an 11-6 win. Thank you for your note and your interest in my story, but I can't get into the details of my newsgathering and reporting with you. It's not Journal policy. This puts New York Islander Fan Central in the position of making our questions to Mr Sielski public for our readers which will be presented on Friday, April 5th,at 10am. The twitter box will return at 5pm for Steve Staios 1000th career game. 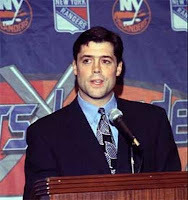 On April 5th, New York Islander Fan Central contacted, Wall Street Journal writer, Mike Sielski, asking him many followup questions to his April 2nd feature on Pat Lafontaine. Mr Sielski also did a WFAN 960 audio interview on 4/4 as a followup to his feature here. As explained in our e-mail there are a lot of unanswered items that perhaps he could clarify for everyone because the subsequent radio/webcast (above) did not address any of this. I explained our intention here is to inform our readers as a New York Islander blog with no team or media affiliation. New York Islander Fan Central hopes he takes the time to respond in the upcoming days. Mr Sielski's background lists him as a reporter for the Wall Street Journal, and the author of the book: Fading Echoes: A True Story of Rivalry and Brotherhood from the Football Field to the Fields of Honor. An earlier profile, does not list his WSJ credential but does list all his 2012 WSJ articles with a very impressive resume of awards, and career achievements here. Labels: Mike Sielski, Pat Fontaine. The Bridgeport Sound Tigers (AHL) qualified for the 2012 American Hockey League playoffs by winning Wednesday at home against Springfield 3-2 at Webster Bank Arena here. Mike Halmo made his debut, Isles draft pick, John Persson (ATO) had his third goal. Ct Post: Michael Fornabio's game coverage. NYIFC prospect blog has everything for the Sound Tigers. Simply put a remarkable accomplishment for rookie AHL coach Brent Thompson, and his staff with the entire Islander organization. This was a team 29th in the AHL at the end of the calendar year. Many injuries/call-ups. From 1/2/12-3/2/12 they lost one game in regulation. Mark Katic was out since day one of preseason until recently. deHaan, Rakhshani, Colliton, Marcinko also have missed significant time. Kevin Poulin has played every game since Anders Nilsson's ankle injury (both goaltenders won the award for best goaltender) back to back months. This would be an image of Pat Lafontine before the announcement of the New York Islanders playing the Rangers every year in what was Announced as a " Charity Challenge " in November of 2000. The article came from Pat Lafontaine's Companions In Courage Website . Charles Wang, Charles Dolan are all quoted as to why they decided to do this. Even Mr Kumar was in attendance. Our point in this entry was to look back, examine the media/Islander coverage for Lafontaine's HOF induction and specifically what the Isles did on Nov 8th 2003, to honor Lafontaine before a game with Atlanta. Lafontaine was inducted, Monday, Nov 3rd, 2003 in Toronto. For the first time since the closing of Islanders-Sound Tigers in 2006 changes have permitted New York Islander Fan Central to make available our complete archives, this includes the daily articles from newspapers in full when Pat Lafontaine was inducted and what coverage was provided November 2003 up to the induction and the Isles ceremony. Our archives also include the Islanders website itself. To be completely transparent here for everyone. I found an old site out of business today to document the coverage separate of our archives to see if anything was missed here. I also found something a little extra Companions In Courage's Newsletter detailing what happened on 11/8/2003 page 4 at the Nassau Coliseum. Among those joining LaFontaine and his family on the ice were Bill Torrey and Bob Nystrom. FoxSports’ Howie Rose emceed the event that included excerpts from LaFontaine’s Hall of Fame induction speech. The New York Islanders honored the newest member of the Hall of Fame – Pat LaFontaine – with a special night on November 8th at Nassau Coliseum. Part of the pre-game event included a brief video retrospective of Patty’s career, along with a presentation on the charitable work that LaFontaine is performing with his Companions in Courage Foundation. The Coliseum crowd was treated to the debut of a video that was created by Display Presentations Ltd. that shows a walk-through of the completed “Lion’s Den” rooms. Per LaFontaine’s request, there were no gifts presented to him. Rather, he asked that the night be used to present “a gift to the children of Long Island.” He wanted the night to focus on the building of a Lion’s Den room at Schneider Children’s Hospital in New Hyde Park. More than $20,000 was raised through the Islanders and the evening’s sponsor - JPMorganChase. Andrew Parton of JPMorganChase presented Pat with a check for $10,000 toward the build-out of the room. He also noted that each fan in attendance was given a commemorative Pat LaFontaine puck. “It’s in keeping with his reputation as a great humanitarian, that Pat would deflect the attention away from himself on ‘his’ night,” said Jim Johnson of the CiC Foundation. “It’s the way he’s conducted himself for the last 20 years. Hockey Hall-of-Famer Pat LaFontaine was honored before the game. booed, Torrey continued, "Two out of three's not bad." Patty refused to accept any personal gifts in honor of his induction. There were always questions from my end on the Isles retiring Lafontaine's jersey that day, obviously Lafontaine did not want any gifts. Did the Isles offer, or did Lafontaine turn that down? Alan Hahn largely had other things to write about at Newsday. Peter Botte did his usual lazy job and these days works much harder not covering the Isles beyond twitter insults. Evan Grossman from the Post I guess could not be bothered that day. Ron Dicker was the Times last full time beatwriter. I thought folks would enjoy this. Islanders website : Reports Brock Nelson has signed an entry level contract. Isles twitter reports it's a three year ELC. UND.com Also confirms signing and that Nelson will turn pro. Michael Fornabaio reports Nelson is expected to join the Sound Tigers in the near future on an amateur tryout. As much as folks may have been disappointed with Anders Lee not signing yet/returning to school, Brock Nelson was the one Garth Snow traded up for that draft experts were very impressed with. Nelson was the player Snow needed to get under contract after Kessel/Gregoire used the Wheeler loop-hole to sign elsewhere. Nelson on an ATO with Bridgeport would not make him playoff eligible because he's was not on clear-day/residence list. He could get a game before the season ends. Islanders website announced a preseason game in Barrie against the Ottawa Senators on September 30th. Edmonton Oilers, September 27th, Regina SK. Ottawa Senators, September 30th, Barrie. New Jersey Devils Oct 2nd, Brooklyn. What's of note is the Isles are hosting the game in Barrie, with the Isles controlling the arena in Bridgeport, plus the usual Coliseum game, it could mean a longer preseason. If there is a season. Obviously by now folks know Matt Donovan was recalled, he will debut vs Devils. New York's weekend dropped them back into the lottery. Toronto/Anaheim controls the ROW as the first tie-breaker. Isles control the tie-breaker vs Minnesota. Any wins/points could change the entire mix. NYIFC twitter feed fired back at an article on Pat Lafontaine, where this blogger believes it comes from and pulled no punches in the comment section. This blog was one of the few to be critical of the Isles for not using it's website to rally support for Jason Blake when he announced he had Leukemia. Management was praised by Jason Blake for their support in his first year when he left the club long ago. This blog was critical last summer when former coach Steve Stirling was hospitalized during the AHL finals, and it was ignored by the Islanders/teams peripheral media. In the past we have seen the clubs website chronicle the finals exploits of Brent Sopel and Aaron Asham. Let's be clear the Isles not inserting an image of Pat Lafontaine on the teams 40th anniversary website calendar is not a big deal but perhaps a bit petty? Omitting his efforts with Steve Webb's earlier this year in an article is not appropriate because NHL.com did include Lafontaine and Webb together, and has featured Lafontaine/Webb/Royals. To the other side of that, the teams skinny (game recap) has consistently detailed Lafontine's career accomplishments vs games played or records during the 2012 season. Having written this there are two sides to a story, selective reporting/questionable standards either way should never be ignored. Pat Lafontaine was honored by the team in Nov 2003 with a night after he was inducted into the Hall Of Fame. To the best of our knowledge, Lafontaine declined to have his number retired. Lafontaine was announced at the Coliseum on Al Arbour, night and was on the ice. He is pictured with Sidney Crosby on another occasion at a different game. Before the Metro Ice Challenge fiasco, the Islanders and Rangers agreed to donate to Lafontaine's charity based on head to head game results. In short, everything is placed on the table for transparency here, otherwise why bother?